A sign for Lew Blum Towing. 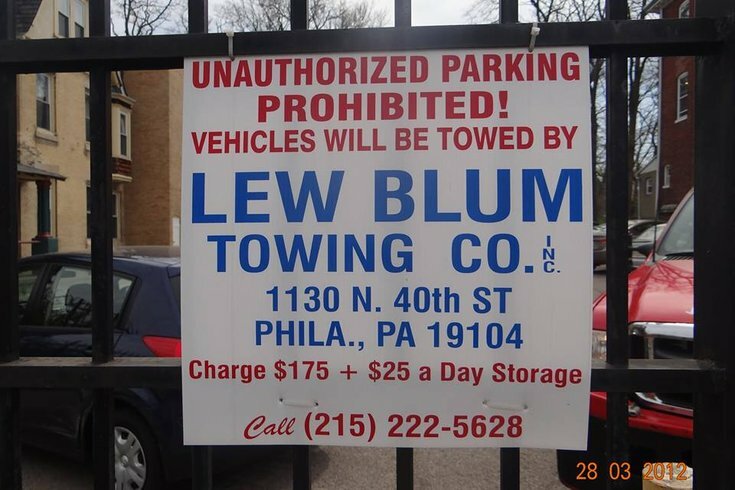 Last month Lew Blum, the towing guy whose name is emblazoned on signs literally everywhere in Philadelphia, announced via his very active Twitter account that he is running for an at-large seat on Philadelphia City Council. His social media presence has raised eyebrows in the past, such as when he recently listed off “some smart black people” back in March. Add this latest tweet to his growing collection of peculiar so far. So, Blum is hoping to get votes by … being your adversary? In case you’re unfamiliar and don’t have a dictionary (or search browser) handy, an adversary is defined as “one’s opponent in a contest, conflict, or dispute.” Read this way, it seems Blum is promising to … dispute with his voters? Or did he mean he’ll be an adversary on his voter’s behalf? An adversary in the face of other City Council members? Did he mean to say “ally” instead of “adversary,” like he did in an earlier post from Sunday, which read (in the midst of a run-on sentence), “... now you have an ally, 2019?” Perhaps he intended to use another word beginning with the ad- prefix: "advocate." It is a multi-faceted mystery.